I never like to say goodbye to summer and it’s not officially over yet, but tomorrow is the first day of school so it’s time to switch gears. 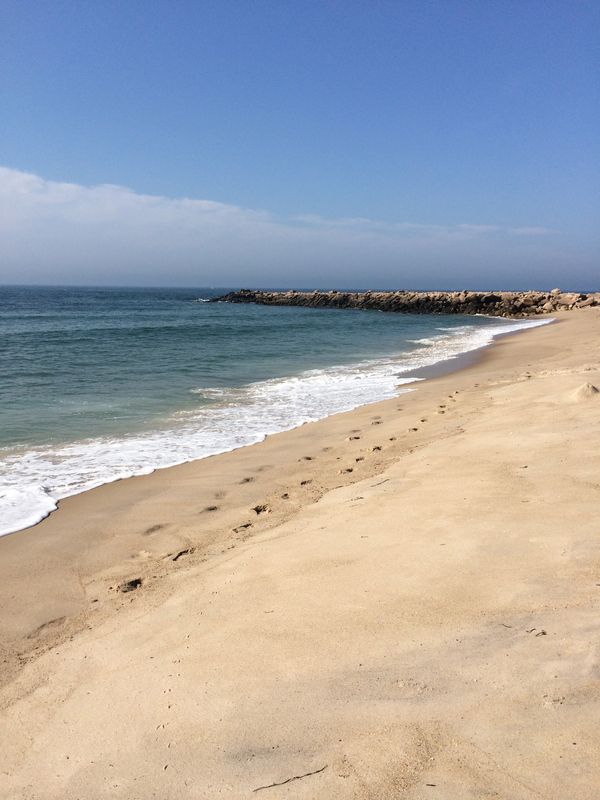 I feel like I’ve made the most of the summer which makes it a little easier to make the transition. I kicked off the summer with an amazing family trip to Costa Rica. We traveled from the west coast to the east coast and spent several days at Tortuguero National Park, only assessable by boat or plane. We zip lined, saw incredible flora and foliage and experienced wild life up close and personal. Here’s a little look at our trip. I also tried my hand at a little gardening this summer with a container garden. 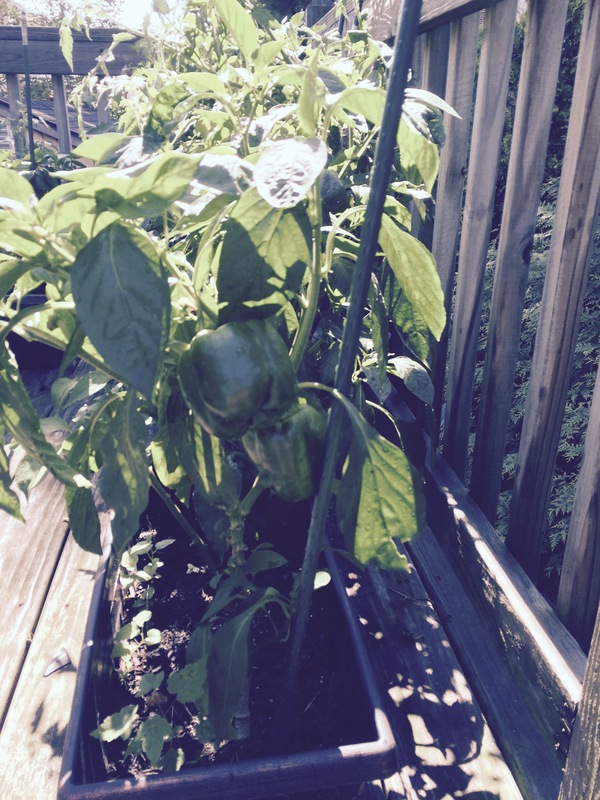 Usually I just plant a few herbs in pots but this summer I wanted to try some veggies. I probably could have planted the veggies in the yard but decided the bunnies would probably get to them (or maybe it just seemed like more work than containers). I planted tomatoes, squash, zucchini and a variety of peppers. The squash didn’t do that well but everything else has been flourishing. I’m thinking about learning how to pickle the peppers to have them for our annual antipasto on Thanksgiving. Last but not least, I have worked on some new therapy materials for the fall. I am armed and ready to go for the first several months with some fun new activities. I will be able to target food vocabulary, plurals, pronouns, following directions, expressive language and more while playing Cookie Match Plurals, using open target drill sheets, and packing a lunchbox with food and utensils, all part of my Speech and Language Activities, Lunchroom Edition. You can find it here at my TpT store. As we move into fall we will be using my new “Scarecrow, Scarecrow” books. These interactive repetitive books are perfect for my students who are challenged with visual attention and need activities with a clear ending. The related materials also target categorizing, following directions, basic fall vocabulary, spatial and sequential concepts. There is also a black and white companion book that can be sent home for reinforcement or it could be used during co-treat sessions with the OT. You can find this product here. 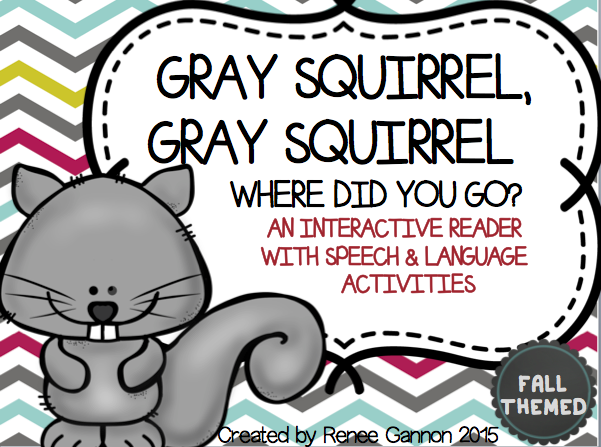 We will also be using materials from another repetitive reader “Gray, Squirrel, Gray, Squirrel” which is still in the works. It is a reader that targets fall vocabulary, spatial concepts, following directions and more. Here’s a sneak peak. It’s been a busy summer with a good mix of leisure and work. While I’m not really wanting to say goodbye to summer, I don’t really have a choice in the matter. It’s good to know that I’ve made the most of the summer and I’m prepared for a new year ahead. Wishing everyone a great 2015-2016 school year!